At Wanstead Church School’s Remembrance assembly, pupils, staff and parents took time to remember the fallen, and in particular, one ex-pupil. The Tom Curry trophy was donated to the school in memory of an ex-pupil who was killed in action in Afghanistan in 2007 whilst he was serving as a Royal Marine, aged just 21 years and 12 days. Each term, the trophy is awarded to a child who has shown similar values to that which earned Tom his Commando Medal: unselfishness; leadership; determination; and cheerfulness, to name but a few. Hannah Boase, a Year 5 pupil, was the first recipient of this award, presented by headmaster Mark Hemsley. 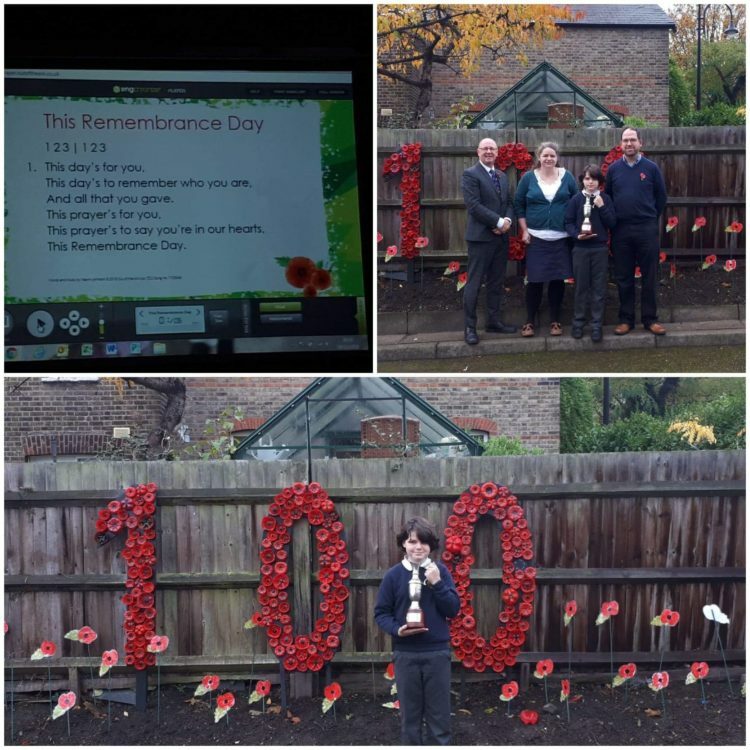 Hannah is pictured posing with her trophy in front of a special ‘100’ montage of poppies, which pupils made from plastic bottles. The school also applied to the charity Remembered for the #therebutnotthere silhouettes, which have been sited in both playgrounds. There But Not There is the name of their project to honour those killed in the First World War, by taking the names from the war memorials and putting the soldiers back into the community using life size figures.